AN IRREVERENT comedy film with scenes shot at North Kirklees locations will premiere at Birstall’s Showcase Cinema later this month. Destination Dewsbury, which tells the story of a group of friends travelling to see their terminally-ill friend, will have a gala screening on Saturday, February 23, followed by a London premiere in Leicester Square the next day. Made on a small budget of £150,000, with an average crew age of 21, first-time director Jack Spring shot the film at the end of 2016 at spots around Dewsbury, Batley, Leeds, York and Bradford. Locals were brought on set as film extras and runners. Jack knew of Dewsbury through his love of rugby league. A former season ticket holder at London Broncos, he had previously travelled to see the team take on the Rams. Filming locations in Batley included Bagshaw Museum, the Corner Cafe, Soothill Club, Batley Irish Nash and Batley Cemetery. Destination Dewsbury had an American premiere at the Beverly Hills Film Festival last April. It was then picked up by Showcase Cinemas for screening in the UK and will be released in March. 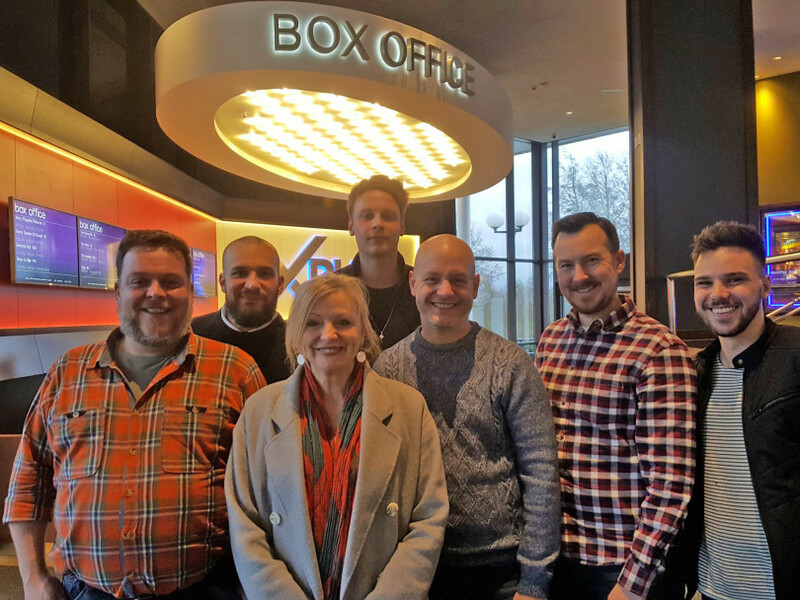 Batley & Spen MP Tracy Brabin, a former actor, met with the cast as they filmed locally in September 2016 and reunited with the creative team at a promotional event at Showcase Cinema last Friday. Destination Dewsbury will be screening from Friday, March 1. To book tickets for the Birstall premiere on Saturday, February 23, visit www.showcasecinemas.co.uk. For more information on the film, visit www.destinationdewsbury.com.